What you see here is basically Jennie Craig’s worst nightmare. No joke. What is the better antidote to despair: alcohol or cookies? For a 9:00 am remedy I think I made the better choice. 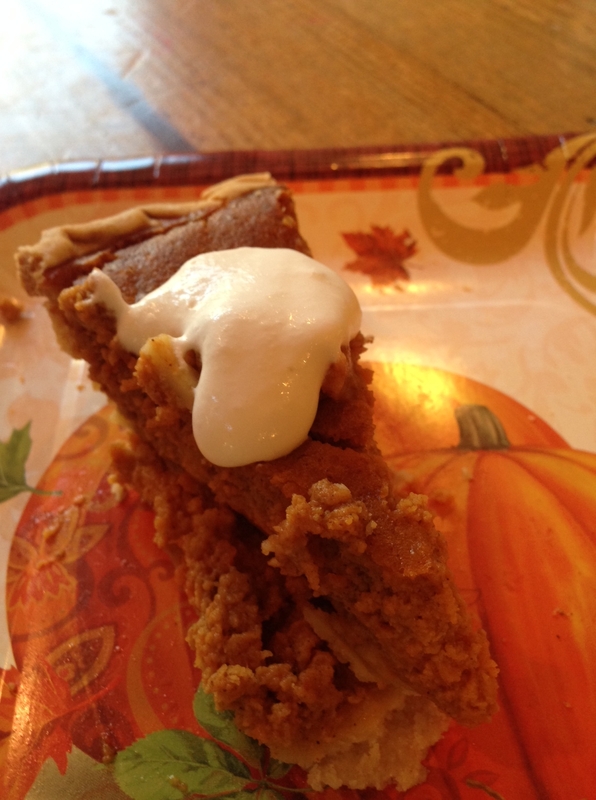 I hopped onto the Pioneer Woman’s blog as I knew Ree wouldn’t let me down. My friends, Ree did not let me down. I like bars also because they can be cut into small little rectangles that I freeze and place into my three kiddo’s echo-friendly containers for lunch at school. Healthy foods are the foundation of my meal planning, yes. But everyone wants a little something sweet after their veggies and I like to be able to control the ingredients. 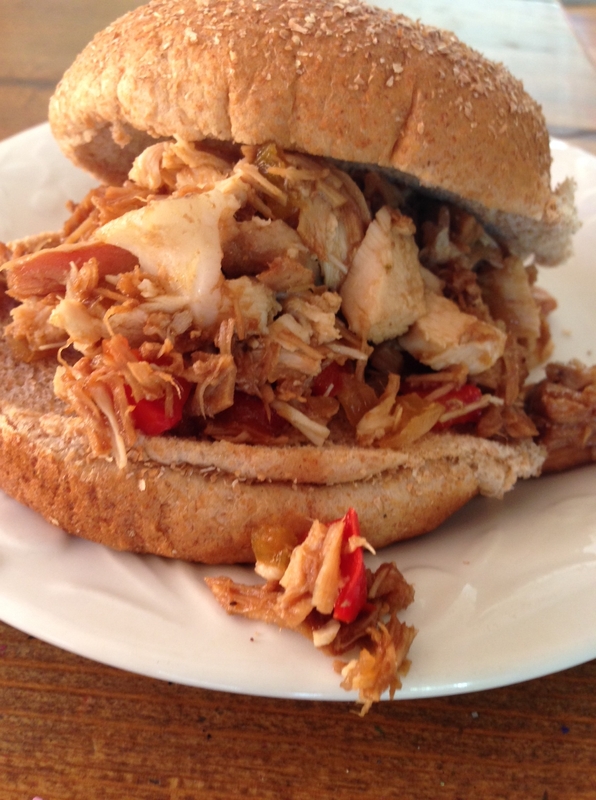 “Breaking the rules” is part of living a balanced life and this way I can use real foods! So, it’s up to you, follow the Pioneer Woman’s making instructions for cookies (predictable) or go crazy and make bars (for who knows how long) like me. Either way please be careful. The crumbs you see in my hand, above, are the only morsels I’m allowing myself to eat (today.) The rest of the bars are frozen and out of sight. Dangerous I tell ‘ya. Michelle’s Directions: Preheat oven to 350. Throw everything in a bowl and mix. Place balls onto cookie sheet for 12 0r so minutes if you want cookies. Put the whole lot on the sheet and bake for, uh… a 45 minutes…? if you want delectable bars. Ree’s Directions: check out the Pioneer Woman blog. She takes her baking more seriously than I (everyone does) and follows a more methodical step-by-step type situation. If you’re more like Ree we can still be friends! Personal message to Ree which she’ll never even see: Thanks girlfriend! I needed that! It’s a blustery-leaf-blowing brisk fall day in SoCal, and for whatever reason I’m in the mood for a good cold smoothy. So sue me. Recipes for smoothies kind of crack me up. I mean really. REALLY? 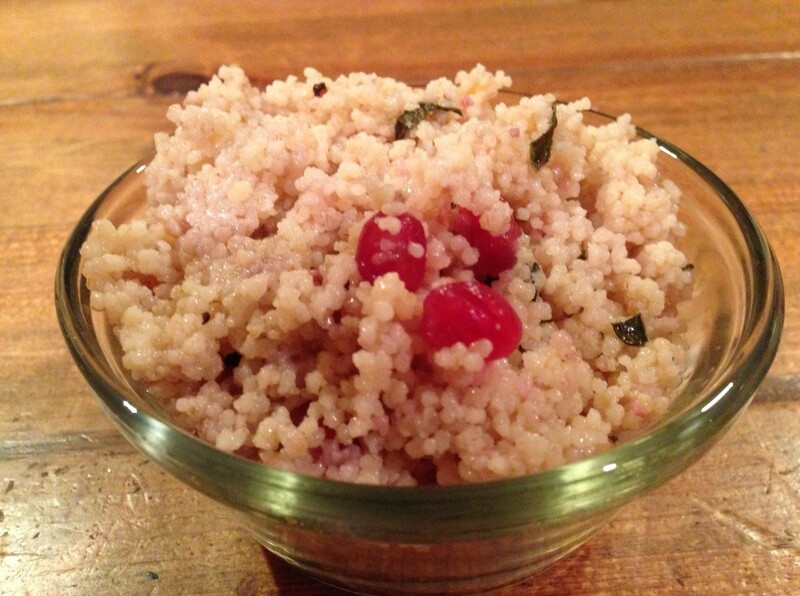 Throw some stuff you like in a blender and hit puree for heaven’s sake! Sometimes my smoothies come out a bit too thick, so I add more water or juice. Sometimes they are too runny, so I add another banana or just deal with it. Sometimes they are not sweet enough, so I add a tablespoon of honey. If it’s not cold enough I add some ice… I think you get the picture. But for my friends who prefer to measure and, like, be organized about their smoothies, I recorded what I did today and now I will share it with you. You’re welcome. Ingredients: 1 can of fruit (pineapple, pears or peaches) including the juice, 2 bananas, 1 cup orange juice, 1 cup yogurt, 2/3 cup raw oats. Tips: Only buy canned fruit in juice. Why in the world did people start putting “heavy syrup” on fruit. Yuck. I seriously think only bad people buy that stuff (OK, I may have overstated my case here but seriously–it’s sweet already!) I also avoid any canned fruit with artificial sweeteners. Yipes man. If I use plain yogurt I sometimes add I bit of honey to the mix as well. 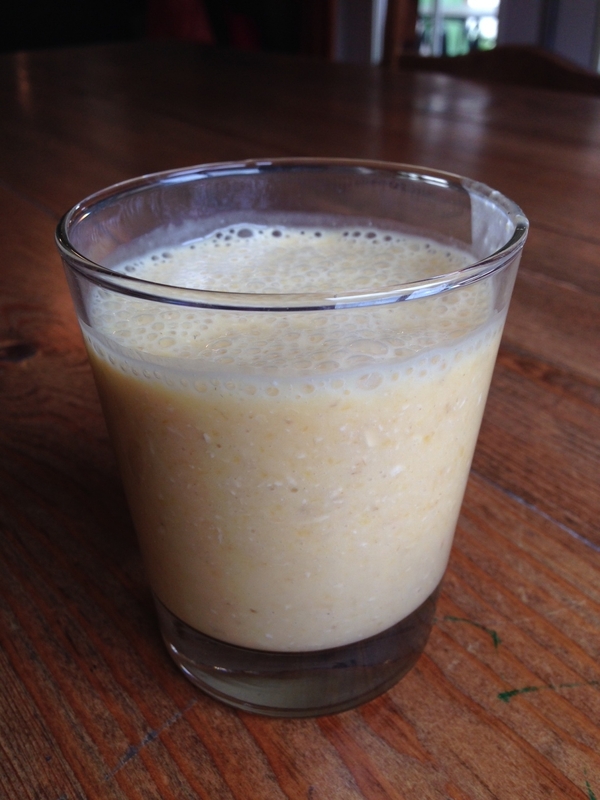 I started adding raw oats to my smoothies years ago and I must say: YUM. 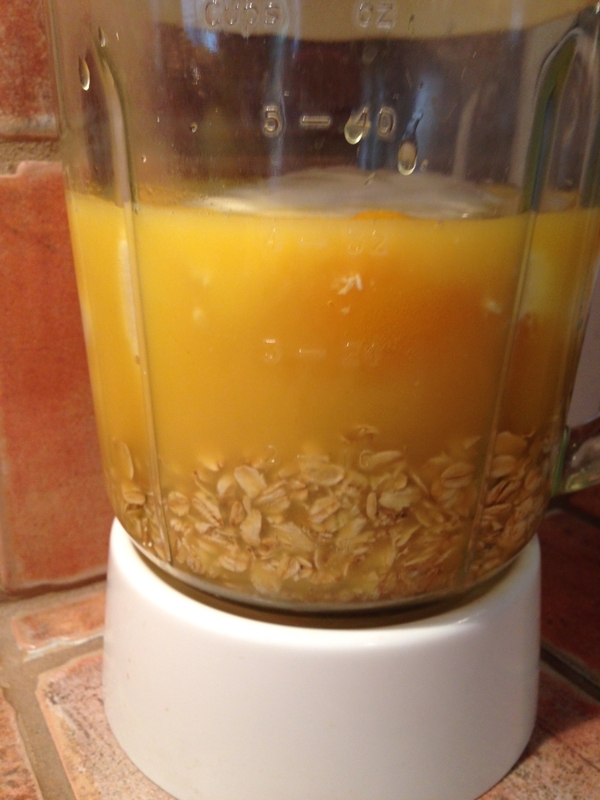 The oats are an easy way to bulk up the drink–especially for hungry kiddos and husbands, but you need to let them sit for a couple of minutes to soak up the juice so they break down nice and easy for ‘ya. Finally, (boy this is a lot of tips!) I do use fresh fruit for smoothies too, but only the ugly, too-soft pieces. The good stuff gets eaten up w/out all this hassle! I love living in my almost 100 year old house that is just a tad chilly in the mornings this time of year. I put on my Uggs (knock offs), wrap up in a fleece something-or-other, make my coffee (my mouth is watering right now) and think about what’s for breakfast. Just like when I make pancakes, I make a TON of French toast–I literally use an entire loaf of bread or more at a time–that keeps great in the fridge or freezer for the next crisp fall morning. Assuming not everyone is interested in mountains of breakfast stuff, however, I will now present to you a recipe for, like, a normal amount of French toast. K? 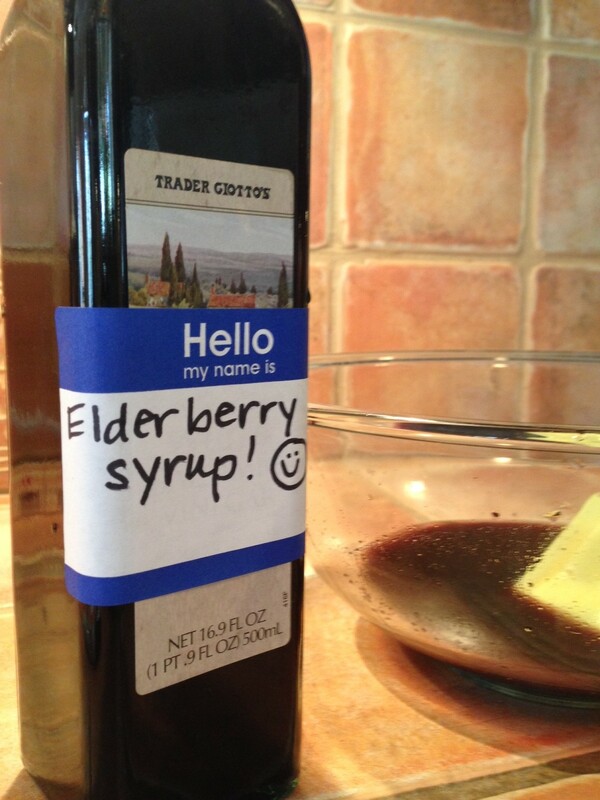 Ingredients: few slices of bread (getting old is dandy) 4 eggs, 3/4 cup butter milk, two tsp. vanilla, two tsp. sugar, tons of cinnamon. Additional options include a dash of almond extract (careful with nut allergies,) dash of nutmeg, pumpkin spice, stuff like that. Directions: Set bread aside. Whisk everything else together and dip each piece of bread completely into the mixture. Then place the soaked bread onto a heated cooking surface with a little oil (forgot to mention that in the ingredients) Cook both sides on a medium heat. Top with maple syrup or delicious other things like powdered sugar or tasty jams. My mouth is watering again! Tips: as I mentioned above, bread that is getting a bit dry is fine, in fact some folks like it better as it will soak up all the buttermilk-eggy mixture even better. My favorite bread to use is a hearty whole wheat sour dough. 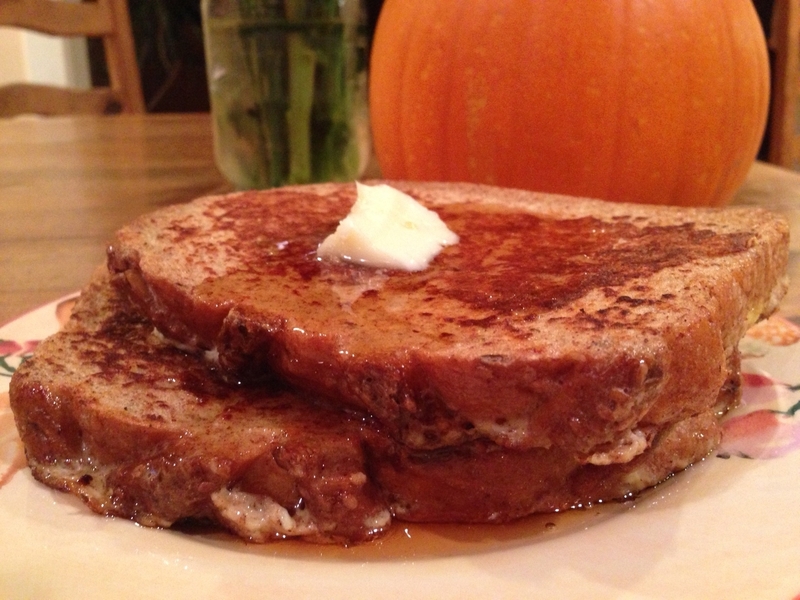 I like the sour dough contrast with the sweet syrup or whatever… so good. Ingredients: 1 tbsp. olive oil, 2 diced stalks of celery, 1/2 diced med. 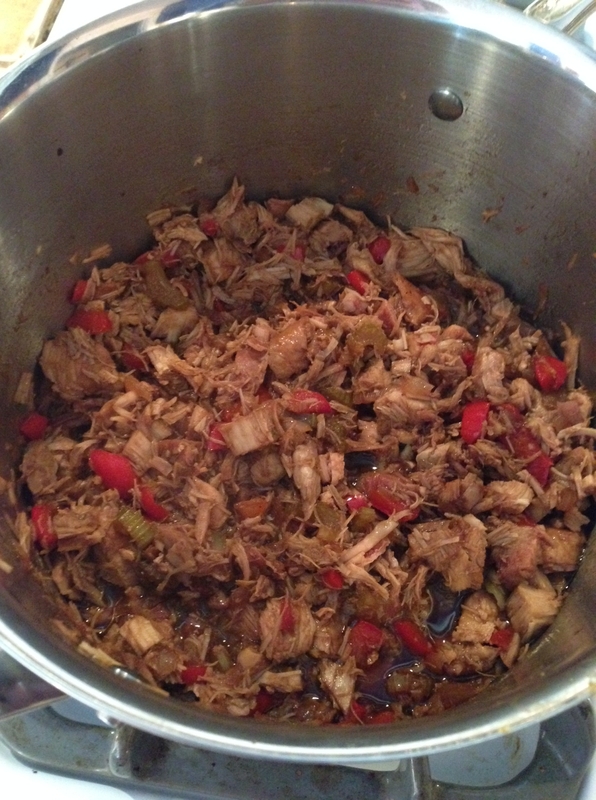 onion, 2 cloves garlic, 1 diced bell pepper, diced left over turkey, 2-3 tbsp. 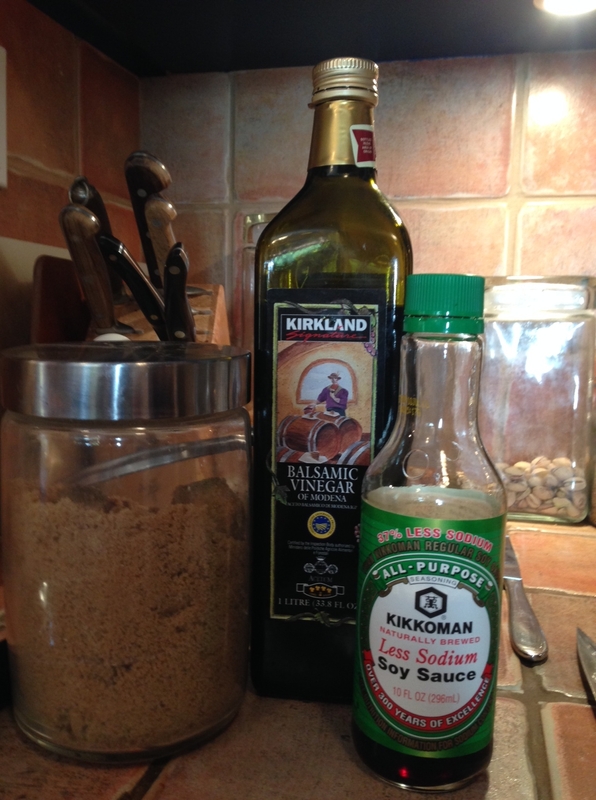 balsamic vinegar, 2-3 tbsp. soy sauce, 1/4 cup or so brown sugar. Directions: Place oil and onion on stove top and cook at med/high heat till onions turn a bit translucent (about 5 mins.) 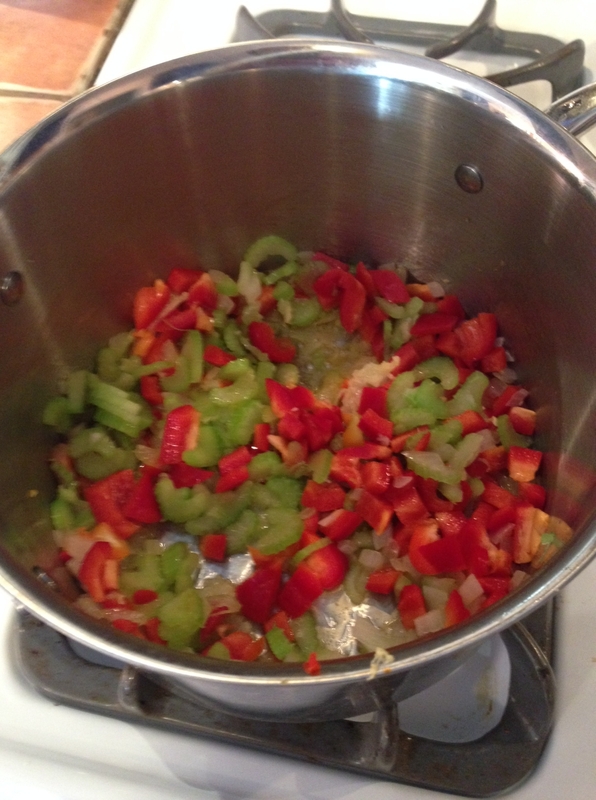 Add celery, garlic, bell pepper. Mix and let simmer until the other veggies begin to soften (another 5 or so mins.) Then add 2 tbsp. vinegar and soy sauce and most of the brown sugar. Mix, cover and set heat on low so the veggies can really cook down and soak up all that yummy sauce. When veggies are cooked, add your diced meat, stir and heat for a few minutes. Taste and add soy sauce, vinegar or brown sugar as needed. Here are the veggies getting started. Aren’t they gorgeous? Finally, these are my good friends, teriyaki sauce ingredients (aka: brown sugar, balsamic vinegar and soy sauce.) For a simple teriyaki sauce situation I use the the 2-3 tbsp. 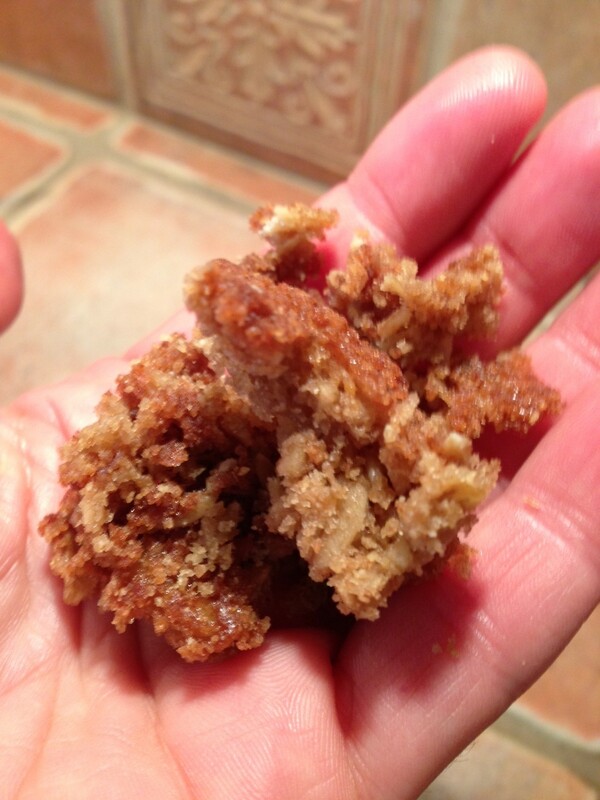 soy/vinegar plus a 1/4 cup loose packed brown sugar, then adjust to taste. If I need more liquid–like if I’m making stir fry over udon noodles or something like that–I sometimes toss in a splash of orange juice or a little meat broth. I plan to serve these guys on whole wheat buns for dinner, but it would be also be delicious on rice or a baked potato! Quick shout-out to the Calvary Preschool Peeps who hired me to get everyone “Thinking Outside the Lunchbox” last night. I enjoyed our time together! Directions: mix, pour into pie crust and bake at 425 for 15 minutes, then reduce heat to 350 and bake for another 50 minutes. Serve with homemade whipped cream for extra yum factor!